Spend less money with more fun on your next (or first!) 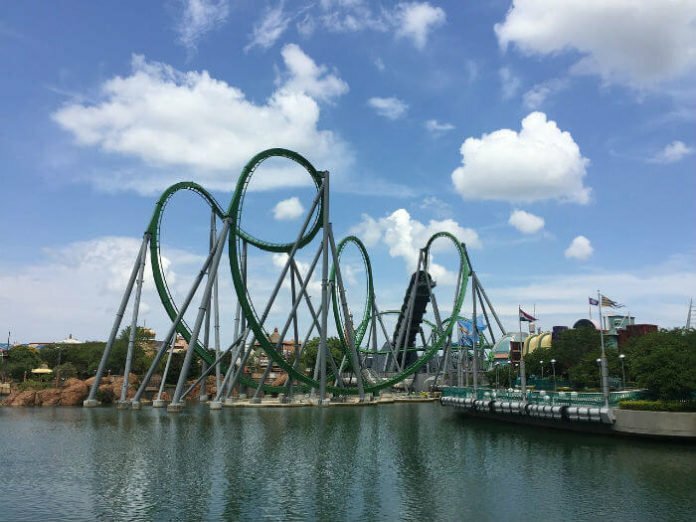 trip to Universal Studios Orlando. If you buy a Universal 3-park 2-day park-to-park ticket, you can get 2 more days free! This gives you admission to Universal Studios Florida, Universal’s Island of Adventure and Universal’s newest hit park, Volcano Bay. And the savings don’t have to stop there – if you book your stay at Loews Sapphire Falls Resort, Universal’s Caribbean-themed on-site hotel, you could get rates as low as $164 per night when booking a 4-night stay. These are for stays between September 29th—November 21st. So if you want to make the most of your vacation while getting tons of perks, then definitely consider taking advantage of both great deals!